Day 3: Early morning flight to Juliaca – Puno, Hotel night in Puno. Day 4: Boat to Titicaca Lake, Uros floating island tour and home stay in Amantani. Day 5: Titicaca Lake tour, Taquile Island and back to Puno, Hotel night in Puno. Day 6: Touristic bus to Cusco City, Hotel night in Cusco City. Day 7: Free day in Cusco, Hotel night in Cusco City. Day 8: Train to Machupicchu and Hotel night in Machupicchu town. Day 9: Machupicchu tour and train back to Cusco, Hotel night in Cusco City. Day 10: Transfer to the airport flight to Lima and to USA. Day 1: International flight from USA to Lima, Peru. You will spend the night in Lima – Miraflores area. Our representative will pick you up early in the morning from your hotel to take you to the airport of Lima where you will catch the flight to the High Andes of Peru, Juliaca is located at 12550 feet’s and that is the reason why you need to take medication for the altitude sickness before your plane leave Lima. After your arrival to Juliaca, our representative will pick you up to take you to Puno City, the bus ride will be approximately 1 hour, once to get the city you will have access to the hotel which is located in the downtown of the city. The afternoon will be free of activities to acclimatize your body to the new altitude, you will have your briefing and meeting with your Titicaca Lake tour guide in the lobby of the hotel at 06:30 pm. You will spend the night in Puno City. Day 4: Titicaca Lake Tour, Uros floating islands and Amantani Home stay. They day will begin with your breakfast at the hotel, after your breakfast the tour guide and our local transportation will pick you up to take you to the harbor where you will be able to buy some staff as a present for the host families, the presents will be staff that you can bring from your country as well. After 30 minutes boat ride you will arrive to the Uros floating islands where you will have a meeting with this pre Inca civilization and will be able to learn about their daily life and how to build their reet islands, you will have time to enjoy the time with them, around 11:00 am you will leave the floating islands and will reach Amantani natural island for a lunch time, here is where we will be divided in small group to follow and live with different families, the lunch will be vegetarian and will be included in your tour, after lunch you will have time to rest before have the opportunity to trek to the top of the mountain (4150 m.a.s.l) to see the Temples of Pachamama and Pachatata and enjoy the traditional customs of the island people. Food and authentic music prepared and performed by your designated family. You will spend the night in Amantani island – Titicaca lake tour. Day 5: Titicaca Lake Tour, Taquile Island and Boat back to Puno City. Peru High Andes Tour will begin after your breakfast in the family house, when we will take a short boat ride to the neighboring Taquile Island, where we will tour around the town, plaza and visit these beautiful people, world famous for their intricate and fascinating weavings, they were name as Immaterial heritage of the world by UNESCO, you have the opportunity to visit their market, after your typical lunch we take the return trip to Puno where we will spend the night in the same hotel, the boat ride back to Puno will be 3 hours approximately. You will arrive to Puno with enough time to continue with your exploring of the city. Pukara: This is the most important and oldest ceremonial center of the altiplano. La Raya: This is the half-way point between Cusco and Puno (14300 feet’s), in conclusion the highest point of your tour. Sicuani: you will have a really nice buffet lunch included in this town. Raqchi (Wiracocha God Temple): This was an Inca temple of monumental dimensions. Andahuyalillas: Sistine chapel of South America, Catholic church. 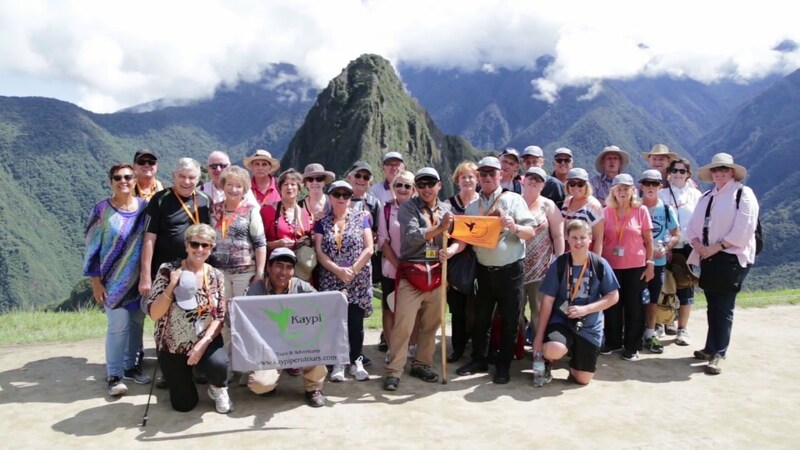 After your arrival to Cusco City a representative of Kaypi Peru tours will pick you up and take you to the hotel in Cusco. 8 nights’ accommodations (Lima, Puno, Cusco, Machu Picchu). 11 meals: 8 breakfasts, 2 lunches and 1 dinner. Boat for the Island tour (group Service). Touristic bus from Puno to Cusco with entrances in a group services.